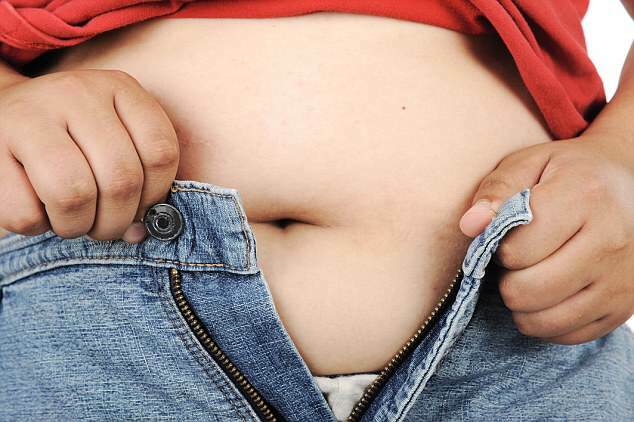 Obese children as young as eight have DOUBLE the risk of a life-threatening liver disease	. US English Female Duke University Hospital, Durham, N.C.
More than a third of obese children show signs of a life-threatening liver disease by the age of eight, new research suggests. A Columbia University study found three-year-old children with larger waistlines were twice as likely to develop signs of nonalcoholic fatty liver disease (NAFLD) within five years compared with healthy children. NAFLD occurs when too much fat builds up in the liver creating damage that is similar to that caused by excessive alcohol consumption. It is typically symptomless until its advanced stages but can lead to severe scarring in the liver and liver cancer. Experts say NAFLD could be a 'silent killer' for this generation of American children who are at an unprecedentedly high risk for health problems that previously weren't seen until adulthood. More than one in three American children and teens are overweight or obese, and the rate of childhood obesity has tripled since the 1970s. Childhood obesity is now the number one health concern among parents in the US, topping drug abuse and smoking. 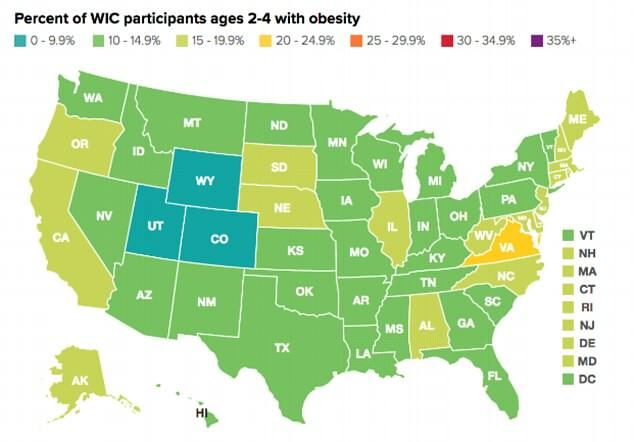 A study by Duke University published in February found that nearly 14 percent of America's youngest children - those between two and five years old - are obese. 'With the rise in childhood obesity, we are seeing more kids with non-alcoholic fatty liver disease in our pediatric weight management practice,' said Jennifer Woo Baidal, director of pediatric weight management in the Center for Adolescent Bariatric Surgery at New York-Presbyterian Morgan Stanley Children's Hospital. 'Many parents know that obesity can lead to type 2 diabetes and other metabolic conditions. Non-alcoholic fatty liver disease (NAFLD) affects up to 25 percent of American adults and 10 percent of children, typically those who are overweight or obese or have diabetes, high cholesterol or high triglycerides, according to the American Liver Foundation. Nonalcoholic fatty liver disease occurs when too much fat accumulates in the liver causing inflammation that inhibits its ability to function properly. The damage caused by the disease is similar to that caused by excessive alcohol consumption. NAFLD is the most common form of chronic liver disease in the US affecting an estimated 80 to 100 million people. The disease is generally symptomless until its advanced stages and can lead to cirrhosis of the liver and liver cancer. The overall prevalence of NAFLD among obese children is estimated at 40 to 70 percent. Previous research has looked at the disease in teens and young adults but the study published Wednesday in the Journal of Pediatrics is the first of its kind to look at risk factors in younger children. Woo Baidal, a lead author on the study and assistant professor of pediatrics, said some clinicians screen for the disease starting at age 10, but these new findings suggest that intervention is needed earlier. The researchers from Columbia University's Irving Medical Center measured ALT blood levels for 635 children from Massachusetts. The findings revealed that nearly a quarter of the children had elevated ALT levels, a marker for NAFLD, by age eight. Around 35 percent of the eight-year-olds with obesity had elevated ALT compared with 20 percent of those were a healthy weight. Children with a larger waist circumference (a measure of abdominal obesity) at age three and those who gained more weight between ages three and eight were more likely to have elevated ALT levels. Woo Baidal said the results underscore the importance of earlier action by parents and doctors to prevent excess weight gain in childhood. When does it make sense to invest in medical technology not yet approved by the FDA?